The ex-England midfielder had two spells under the Portuguese at Chelsea and has nothing but praise for what he has achieved. Mourinho made an immediate impact when arriving at Lampard's Chelsea. 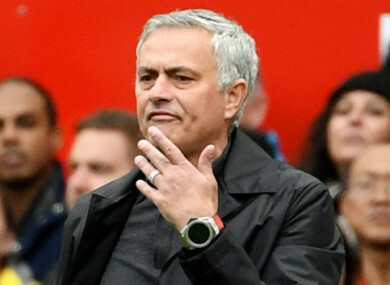 MANCHESTER UNITEDS Jose Mourinho may have come under fire from critics of late, but he remains a special manager, Derby County boss Frank Lampard has argued. The Portuguese was Lampard’s manager from 2004-2007 and then again in the 2013-14 season at Chelsea but on Tuesday will stand in the opposing dugout at Old Trafford as the former England midfielder takes his team to Manchester in the Carabao Cup. And Lampard is still well aware of the qualities that Mourinho and his team possess, despite the criticism his side have endured after a relatively slow start to the Premier League season that continued with a 1-1 home draw against Wolves last weekend. When asked if Mourinho is still special, Lampard chose to put the manager’s achievements in context: “Tottenham were a fair way behind and Mauricio Pochettino’s a great manager. Liverpool were, too, and Jurgen Klopp’s a great manager. Manchester United came second. This is not ancient history, this is fresh history, of the Europa League and the League Cup. He has it. Lampard said that Mourinho has a human side to him that is not seen in the media every day, such as when he called him to offer his congratulations after his daughter was born. Now the former Chelsea man is looking forward to crossing swords with the man who previously mentored him. Email “Man Utd boss Mourinho is still special, insists Lampard”. Feedback on “Man Utd boss Mourinho is still special, insists Lampard”.